How to trust Your Intuition. Its something I am often asked and I feel we often learn to trust our intuition through not rusting it. I have often regretted it when I didn’t trust it and ended up having unpleasant experiences. You know, when someone is talking to you and it just doesn’t feel right and you don’t know why. This is your intuition sending you a message that maybe the story is not 100% true. Or the person may be to embarrassed to express themselves and you feel it. The signals you are receiving are not matching their words. I feel its quite different to a thought. There is a sensation and an almost physical feeling that comes along with the thought and it feels very strong. Much stronger than just a thought. 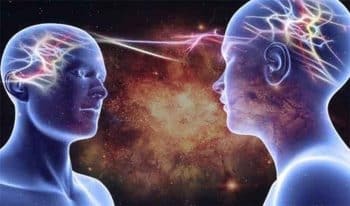 How to learn to listen to Your intuition. Turn it into a game and have fun with it. Let it help you find a parking space, work out who is calling or texting before you look and also feel into situations. Energetically you are sending out energy literally to connect with what you are wanting to know and you will get feedback. Of course we do this unconsciously all day but it is good to become more aware of it . Its much like training at the gym. the more you practice and train the stronger it becomes . So practice helps strengthen it and also allows you to tell the difference between emotion and intuition which is important. Intuition is a calm feeling with certainty whereas emotion often has an exited or fearful element with a physical sensation like butterflies or a a faster pulse. Whereas Intuition is calm. When you listen to your intuition, you normally feel happy, but if you choose to ignore it, a wave of uneasiness may come over you. For instance, you may choose to listen to your ego to make a safe but wrong decision instead of listening to what your intuition is trying to tell you is trying to tell you. “Your intuition is trying to tell you something when you feel uneasy. You can feel anxious , sick , stressed or even get sick at times when you go against it.Ill health can happen because of stress or even energetic blockages when we shut down. When you don’t listen to your intuition, you may actually cause more stress in your life. Physical signs like having anxiety or being sick may slowly creep into your life because your intuition is trying to tell you you need a change. I had a time where I had some warnings to slow down when I was younger. And I ignored it and eventually ended up quite ill. It was a big lesson but also very valuable. So make your intuition your friend. Listen to it trust it and you will find life flows better, you will be happier and a lot of things will actually be easier. Comment below how your intuition has helped you and what has happened when you ignored it. the tools you have provided to ‘test’ intuition are incredible. feelings are ‘right’. when I’ve gone against them like doing a quizz I’ve bombed out! great article! thanks so much for sharing! I’m 65 and only in the last year have I been acting on my intuition rather than just listening to it. I could have saved myself so much heartache had I done so being aware at 16. We all learn as we go and at 16 we are so busy learning.